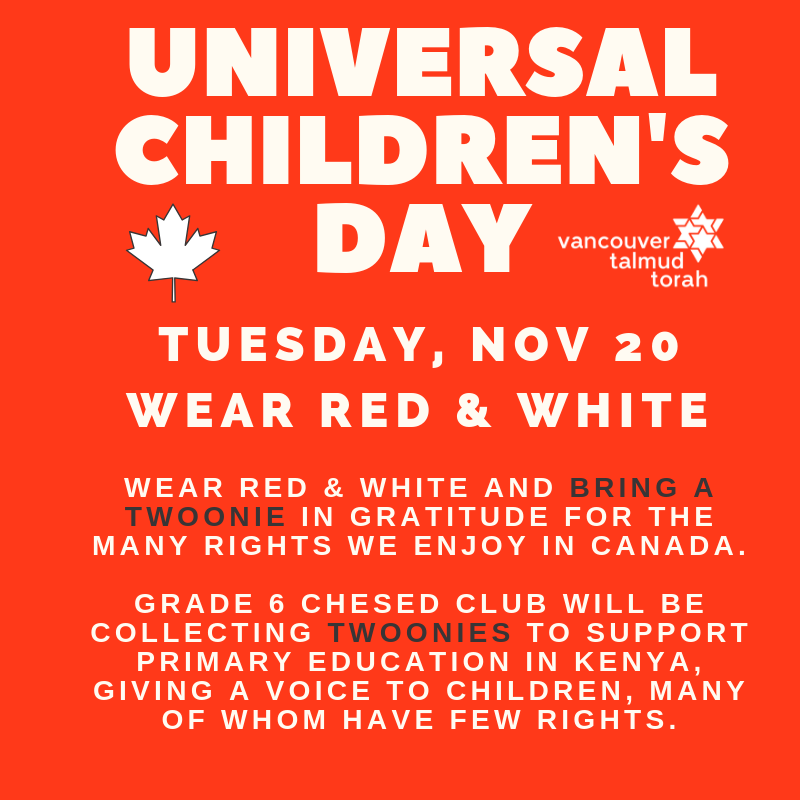 VTT students are asked to come to school in RED & WHITE on Tuesday, November 20th to acknowledge Universal Children's Day and in gratitude for the many freedoms we enjoy in Canada. Bring a twoonie to support primary education in Kenya. Grade 6 Chesed Club students will remain silent for the entire day in a show of solidarity with children who have no voice throughout the world.